There’s no love like a dog’s love. Full stop. So leave the packed restaurants and high stakes Tinder drinks to the two-legged folks this February the 14th – you’ve got a wag-tailed, bright-eyed perma-pup to shower with love. 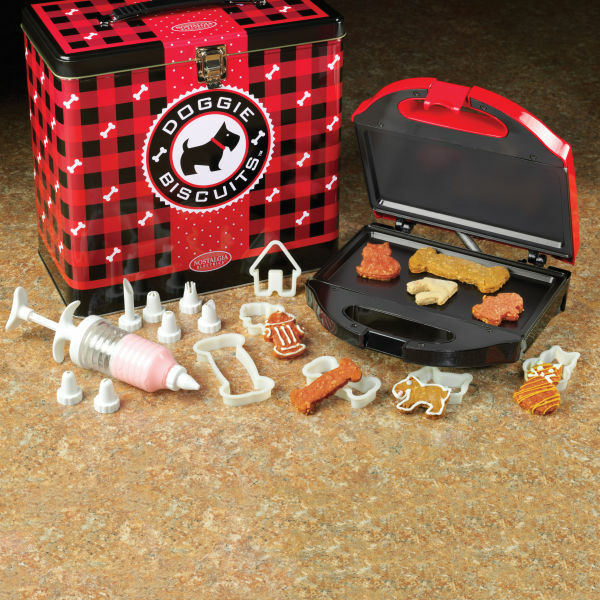 We’ve made it extra easy this year with our selection of the top 8 Valentine’s Day gifts for dogs. 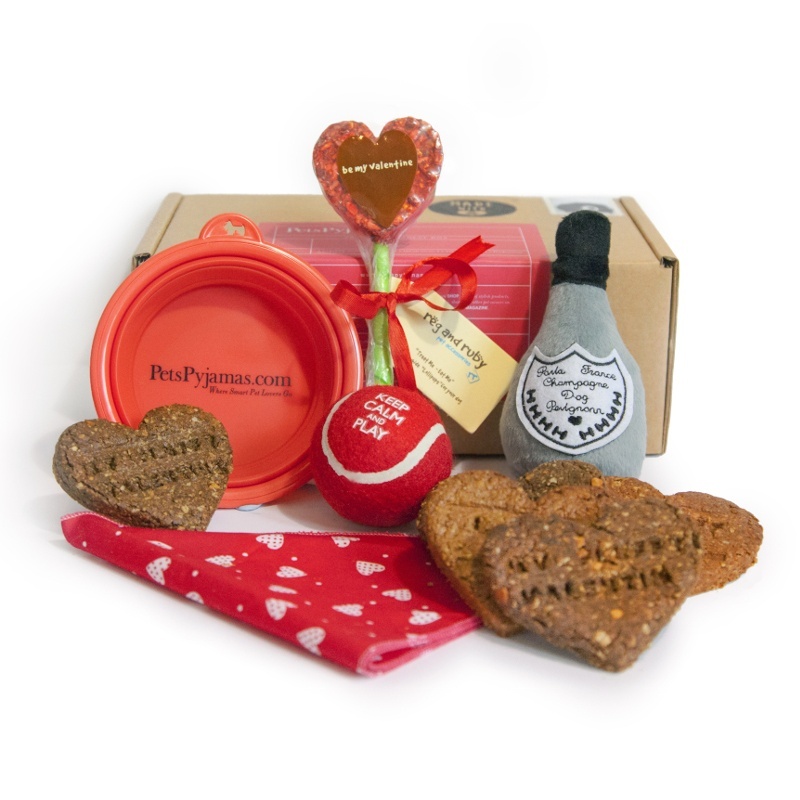 Pooches over 6 months will love this box of upmarket doggy treats, including a rawhide lolly, 6 biscuits, a bandana, ball, travel bowl and even a Dom Pérignon Champagne toy. You can personalise it with your dog’s name, or upload a photo to put on the box. Pawfection. There’s only one thing your dog loves as much as he loves you: food. 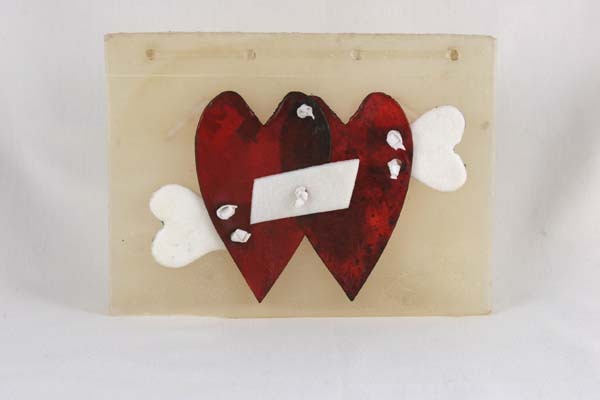 Show him you get it with this rawhide Valentine’s card, completely edible and entirely delicious. If you’re a dog, obviously. You’ve always known your dog could run rings around the over-pampered pups at Crufts – now you can prove it! 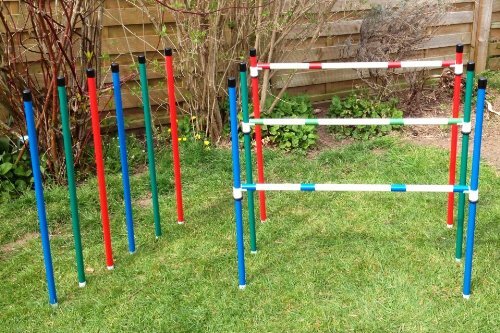 This agility set includes 6 poles that can either be used as weaves, or converted into three hurdle jumps. It’s great for keeping your little wagger fit and healthy, and burning off some of that seemingly endless energy. You’ll need a garden, though: it’s not suitable for indoors. 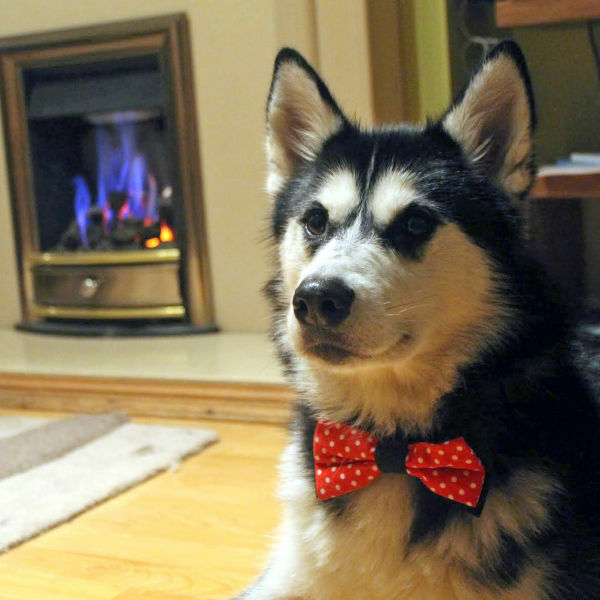 Help your woofer get ready for his big date with this two-way bow tie. Lookin’ fine, canine! Unlike our Valentine’s gifts for cats post, we can include beds in the dog one, because there’s a decent chance they’ll actually get used! This one is ridiculously cute and covered in faux sheepskin for extra-cosy cuddles. You can fold the flaps over on colder days, the middle cushion is reversible, and the whole thing’s machine washable at 30 degrees. Practical and sweet! Make your own Scooby snacks with this set from IWOOT. The recipes are healthy and nutritious (plus there are loads more on the internet) and it comes with 6 cookie cutters, utensils and an adorable treats tin. Where’s the human version, eh? Ideal for easing separation anxiety or helping puppies settle into their new home, the Snuggle Puppie is a warm, cuddly companion with a heartbeat. 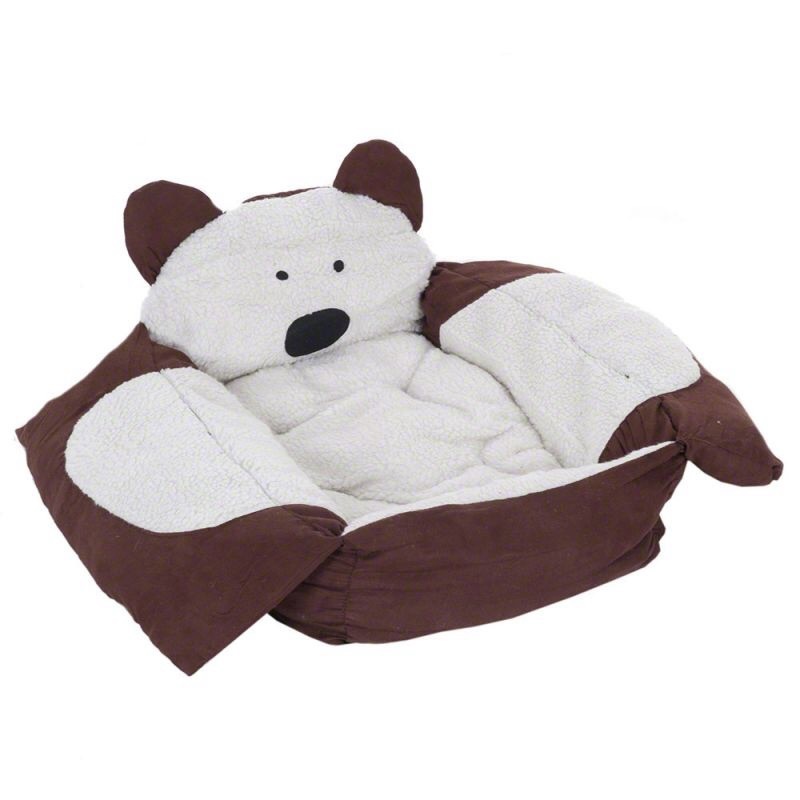 It comes in 8 different colours and can be given to puppies and older dogs alike. A snuggly soulmate for your mutt this Valentine’s Day. OK, this is pretty pricey at £90, but if you’ve got a dog who could play fetch forever (which is most of them, if we’re honest), this will save you from an extremely achy arm. 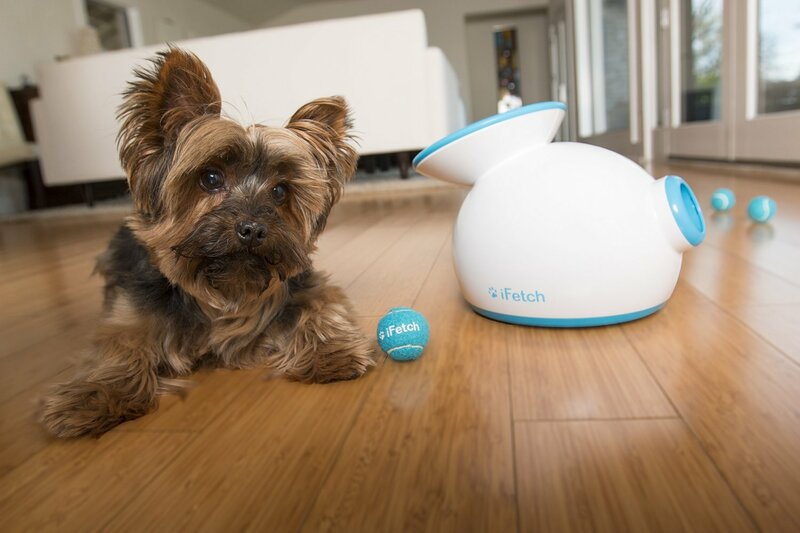 iFetch is a ball throwing machine, essentially: they recommend you’re there with the dog while it’s on (especially if you have any priceless vases lying about) but you can also train Kanye Westie to drop the balls in the launcher himself. Note: if your dog is excessively slobbery, you might have to wipe it down every so often. If that’s not love, we don’t know what is.